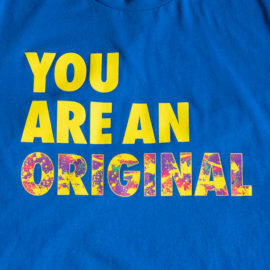 Be original this Christmas with a gift from The Skit Guys! Your loved one will be beyond thrilled to open up one of these Skit Guys gifts this Christmas. God made you. You are an original masterpiece created by Him. 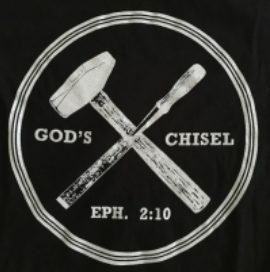 Inspired by the Skit Guys' God's Chisel skit, this t-shirt features God's Chisel and the Ephesians 2:10 reference on the front with "We are His workmanship created in Christ Jesus for good works." printed on the back. 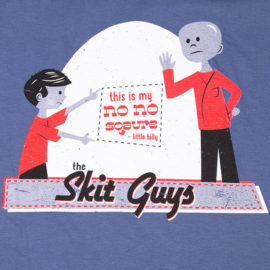 It's the Skit Guys' "This is my No-No Square" t-shirt with Little Billy. 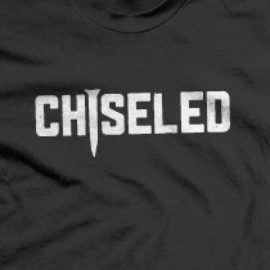 Based on the popular skit "God's Chisel", this new t-shirt serves as a reminder to you and tells others that you are being "Chiseled" into God's original masterpiece. Includes Ephesians 2:10 on the the back, "For we are His workmanship, having been created in Christ Jesus for good works that God prepared beforehand so we may do them." Inspired by the God's Chisel and Original Masterpiece skit, this ladies cut t-shirt has the words "You are beautiful inside and out. 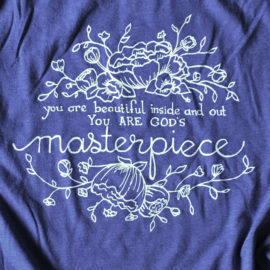 You are God's Masterpiece." This shirt is a women's cut shirt, so size runs small. God created laughter. 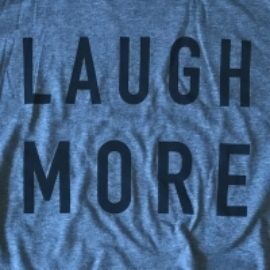 Let's encourage everyone to laugh more! 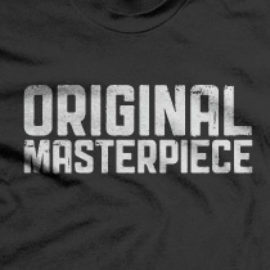 You are an original masterpiece! 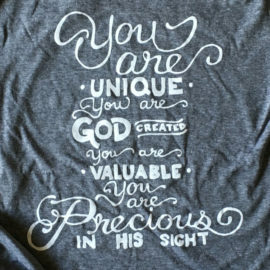 This shirt reminds us that we are God's original masterpiece. Includes Ephesians 2:10 on the the back, "For we are His workmanship, having been created in Christ Jesus for good works that God prepared beforehand so we may do them." Inspired by the skit God's Chisel from The Skit Guys, this ladies cut shirt says "You are unique. You are God created. You are valuable. You are precious in HIs sight." 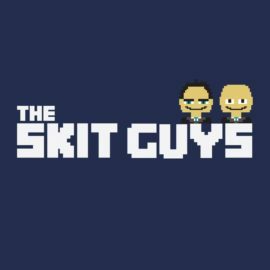 Everything looks better in 8-bit, including the Skit Guys! Show your love with this Skit Guys in 8-bit tee. 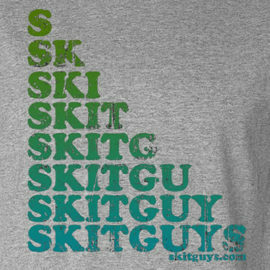 This shirt is only for true Skit Guys fans. Don't buy it if you are not a real fan. Please. Seriously. 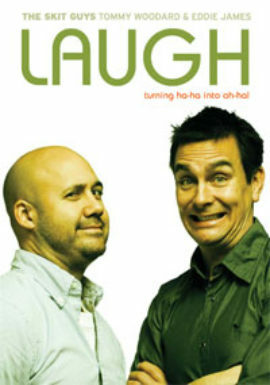 Recorded Live, this DVD includes 1 hour and 20 minutes of humorous skits from Tommy and Eddie. The Skit Guys perform five scenes that provide plenty of laughs and good, clean fun. You want the funny? We’ll show you the funny. 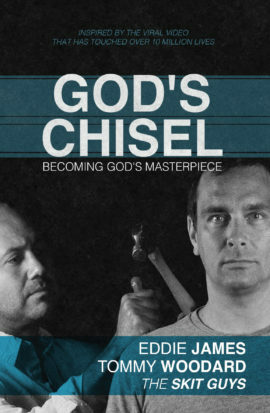 As a matter of fact, this DVD may be too funny. While we highly recommend that you insert it into your DVD player as soon as possible, please consult your doctor before viewing. Some perscription-stength funny can be dangerous to your health if experienced in excess. 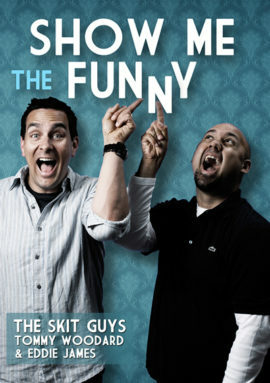 Skit Guys,Inc. will not be held liable for any bodily injury resulting from the funny on this DVD. If you’ve ever wanted to take The Skit Guys home with you, well here’s your chance! 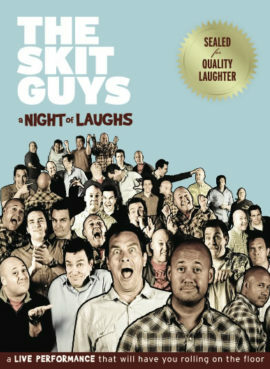 This new DVD features some of the best The Skit Guys have to offer. Laugh is good medicine that breaks down walls to let the truth enter. So sit back, laugh, and let The Skit Guys turn the "ha-ha" into "a-ha!" Warning: Severe Laughing Hazard" Before you sit down to watch this DVD, make sure you know who to contact in case of an emergency*. 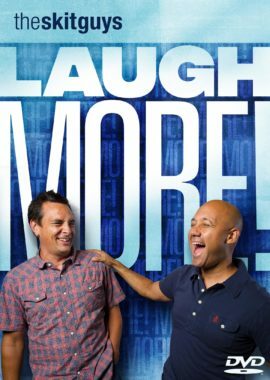 The Skit Guys, Tommy and Eddie, have packed this DVD with skits that will make you chuckle, chortle, giggle, guffaw, and laugh more. *Possible side effects include: increase in laugh lines, a feeling of lightheartedness, overall feelings of elation, and stomach cramps. If these symptoms persist, we've done our job.